Hire Live Bands & Groups | Book Direct with 0% Agency Fees! It's easy to find inspiration and guidance with Entertainers Worldwide - discover the many styles of music and types of bands available to contact and book for your wedding or other event by reading our comprehensive guide to finding and booking a live band. Find a Live Band for hire near you in minutes! Option 1. Enter your event location below & contact a Live Band directly! Option 2. Request multiple quotes from available Live Bands & Groups Get Quotes! Option 3. Read information & advice on hiring Live Bands & Groups Read Advice! Finding the right Live Band is easy with our unique and comprehensive guide. Bursting with essential tips and answers to all those niggling questions, we help you book with confidence, so that you and your guests can relax and enjoy a truly fantastic and memorable event! - WHAT WILL A BAND DO AT YOUR EVENT? - WHAT TYPE OF EVENTS ARE BANDS AND GROUPS HIRED FOR? - HOW MUCH DOES A LIVE BAND COST TO HIRE? CAN LIVE BANDS ALSO PROVIDE A DISCO AND / OR DJ? - HOW TO BOOK LIVE BAND OR GROUP? - HOW CAN I FIND AND BOOK A BAND OR LIVE MUSIC FOR AN EVENT NEAR ME? WHAT WILL A LIVE BAND DO AT YOUR EVENT? Live Bands attend events, such as parties, corporate occasions and weddings, to perform live music for entertainment. Bands come in all shapes and sizes, from punk rock groups to string quartets, but what all of these professional musicians have in common is the ability to bring an electric atmosphere to your event. When you book a band, they will travel to the venue, set up their equipment and play for an agreed length of time, ensuring that the audience enjoys every minute. WHAT TYPE OF EVENTS ARE BANDS AND GROUPS HIRED FOR? 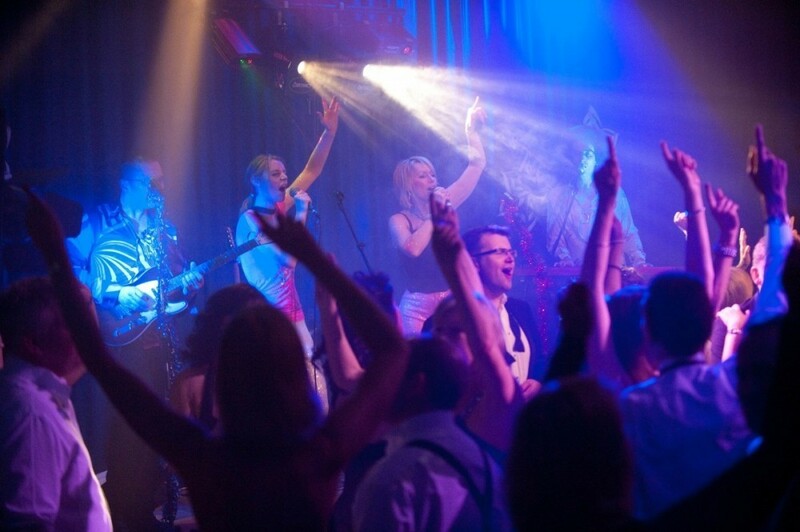 Due to the sheer variety of music performed by live bands, and the many different types of group available, there is a band to suit just about every occasion you can think of, including birthday parties, family fun days, wedding receptions, anniversaries, office parties, Christmas parties, leaving dos, hen dos and baby showers. They can also be hired for venues such as pubs, social clubs and restaurants. A live band is bound to create a buzz at corporate and charity events, store openings, product launches, sit-down dinners, award ceremonies, annual work dos, conferences, AGMs and staff retirement parties. This all comes down to what type of event you’re planning, how many people will be attending, their age range, what style of music you and your guests enjoy and what kind of atmosphere you’re looking to create. You might be planning a themed-event, in which case you’ll need music to match. For a 70s night, you could go for a band that plays Soul & Motown music or Glam Rock covers. If your event has a Las Vegas theme, how about a Rat Pack Show? Not only will these groups play the music of the era, they’ll dress the part too! At Entertainers Worldwide, you can find live bands specialising in everything from Brazilian music to Reggae, from Irish music to Blues. We can cater for all kinds of themes. One of the most popular types of band for events is a Function & Party Band. These bands have big setlists, a big sound and exist for the sole purpose of raising the roof at your party! If you want guests up, dancing, singing along and letting loose on the dance floor, this is the type of band for you. The basic line-up usually consists of a guitarist and/ or keyboard player, lead singer, drummer and bass player. Bigger bands might have separate backing singers, a saxophone player or even a whole brass section. Function bands are experts at entertaining crowds and know just how to get your guests involved. They play high-energy, popular classics covering a wide variety of genres so there will be something to please each and every one of your guests, whether they love Stevie Wonder or Katy Perry. For special occasions, such as birthdays and Christmas, Function & Party Bands will, of course, perform fantastic covers of Happy Birthday, All I Want for Christmas, or your choice of festive song. For fans of The Rolling Stones, Elvis, The Beatles, Bruno Mars, Ed Sheeran, Taylor Swift and Beyoncé, a party band is a great choice. And don’t forget, you can always discuss the setlist with the band in advance, to make sure they include any special favourites. Equally, if you’re not too confident in deciding what the music should be, you can simply tell the band a bit about your event and let them take it from there – after all, they have the benefit of experience, so you can trust them to deliver a setlist your guests will love. There is some crossover between Cover Bands and Function & Party Bands, which can be a bit confusing. Basically, both play at parties, functions, weddings and other events. In many cases they play similar music and would suit the same events. The difference is that certain Cover Bands might focus on playing covers from a particular genre, such as rock or indie music. So, if you and your guests love a particular style of music, this could be a good option for you. For lovers of Aretha Franklin, Diana Ross, The Supremes, Marvin Gaye, Stevie Wonder, Sister Sledge and Michael Jackson, you can really get down with a Soul & Motown Band. 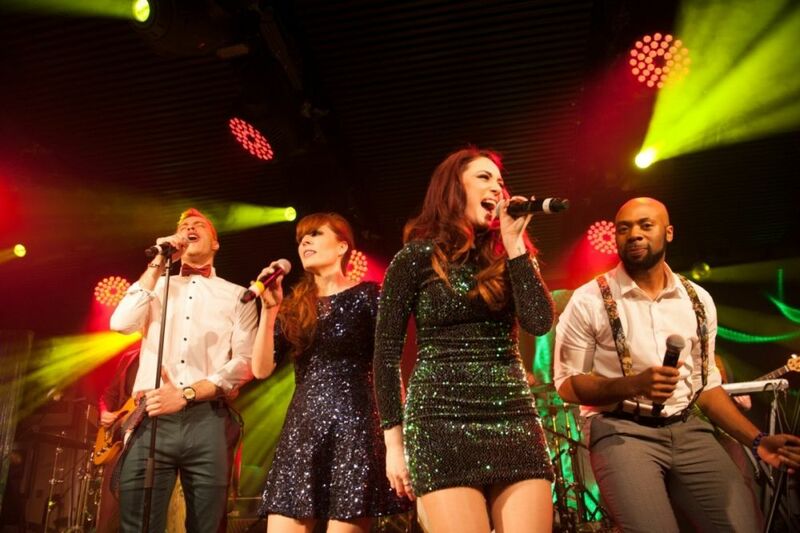 Guaranteed to get everybody moving, this type of band will perform timeless soul classics, disco anthems and up-to-date funky tunes, so you can boogie all night long. 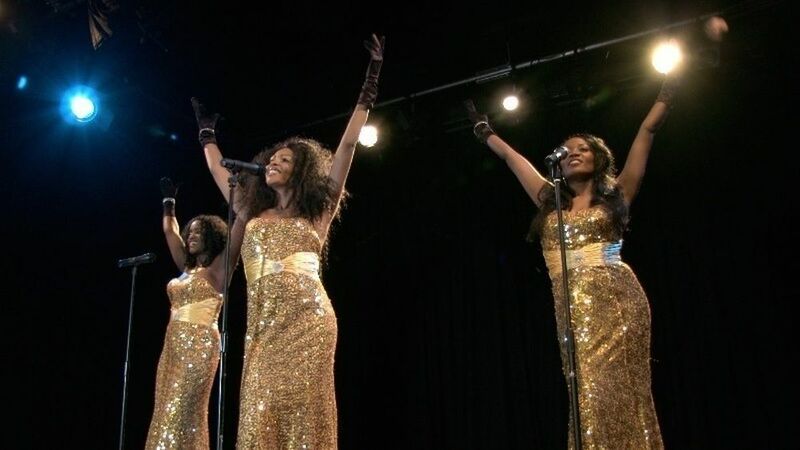 Soul Sisters of Motown - One of the many London based UK Soul Bands available to hire. If classic rock and modern guitar hits are more your thing, why not hire a Rock Band? For some up-beat, head-banging fun, you really can’t beat this. Take yourself on a journey of heavy metal and hard rock through the ages, with Deep Purple, Guns & Roses, Bon Jovi, the Foo Fighters and Metallica, right through to The Killers and Queens of the Stone Age. The perfect choice for a rocking birthday party or wedding. Acoustic Bands are a popular choice at private parties, corporate events, weddings and festivals. They tend to be smaller than function bands and can move around and set up more easily, making them ideal for smaller venues or events where guests are moving from place to place. A common line-up is a singer and acoustic guitarist, but it can also be a full band. Although their instruments are acoustic, they may still use a PA to amplify their sound. Just like a function band, they play an array of well-known chart hits, from every musical era you can think of, and can tailor their sets to suit your event perfectly. An Acoustic Group creates the perfect atmosphere at your wedding ceremony, playing your special song as you walk down the aisle and performing gorgeous music during the wedding breakfast and drinks reception, helping your guests relax while they are having their photos taken or sipping their first glass of champagne! If you see an acoustic band you like the look of on the Entertainers Worldwide website, and you have any questions before booking, simply go to their profile and click on the green Contact button. You can ask them anything, with no obligation. For something with that extra touch of magic, a Jazz Band makes an excellent choice for any sophisticated occasion. As well as Traditional jazz from the 1920s, there are many other styles on offer. Music from the Big Band and Swing era includes the enduring and hopelessly romantic songs of Gershwin and Cole Porter, perfect for a wedding, corporate event or gala dinner. For dancing, it’s got to be Period Jazz from the Duke Ellington era, or Jump Jive from the late ‘40s and early ‘50s, where jazz crosses over with rhythm and blues. Smooth, modern jazz with a Latin American influence would be ideal background music for a suave dinner party. Jazz Bands come in all sizes, from duos, trios and four or five-piece bands, to big ensembles. For larger venues, options include Big Bands & Orchestras, Rat Pack Shows and Swing Bands. Transport your guests back to the magical era of the 1940s and 1950s with tributes to Frank Sinatra, Dean Martin, Sammy Davis Junior, Tony Bennett and more. Your guests will be treated to a spectacular show featuring timeless classics such as “Fly Me to the Moon” and “New York, New York”, often with a modern twist, inspired by the likes of Michael Bublé and Jamie Cullum. This is a great accompaniment to any occasion, from a corporate dinner to a small party or vintage-themed event. 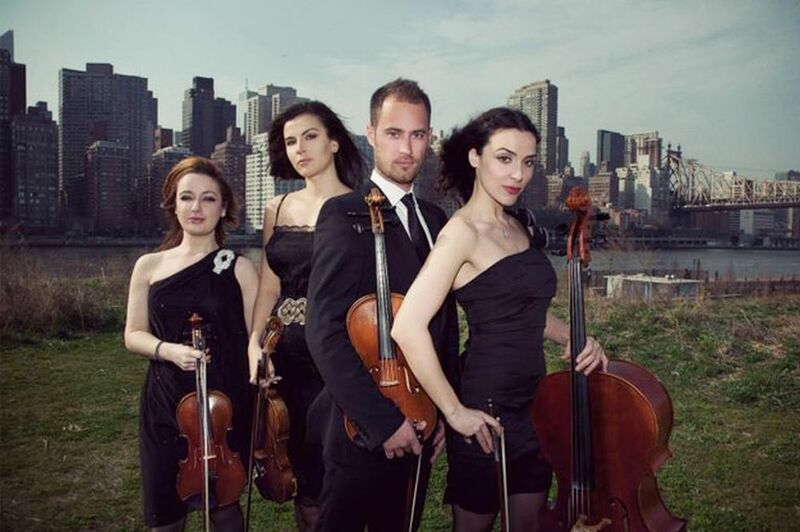 Hiring a String Quartet is a wonderful way to bring a touch of elegance to any sit-down dinner, wedding or corporate event. This classic ensemble consists of two violins, a viola and a cello and there is a huge body of wonderful music written especially for this combination of musicians. Well-known composers of the genre include Bach, Haydn, Beethoven, Mozart, Schubert, Brahms, Ravel and Dvorak. Some of these pieces are simply sublime. If you’re looking to mix things up a bit, many quartets today offer diverse sets including film scores, TV theme tunes, scores from musicals and operas, show tunes and string versions of popular hits, from Adele to Daft Punk. As well as the classic string quartet, there are Duos, Trios and Quintets, usually combining strings, piano and strings or woodwind instruments. Whichever format you choose, a Classical Group is ideal for providing sophisticated background music during your wedding day and will make a real impact at any smart occasion. Did you know, you can hire speciality Wedding Bands? This is a great way to ensure that you’re getting a well-rehearsed, professional band who are expert at creating a welcoming atmosphere and getting your guests up and on that dance floor. They will talk to the audience in between songs and know just how to bring people out of their shells. If you’re looking for some gentle music for your wedding ceremony, breakfast or drinks reception, most wedding bands can offer an acoustic line-up, or you could consider booking a String Quartet or Acoustic Band to play during the day-time. Choosing a band for your evening reception really comes down to your own personal taste, but you also want to consider the different friends and family you have invited. Playing a variety of genres, wedding bands have setlists designed to appeal to all ages, so that each and every one of your guests has a night to remember! Of course, we can’t talk about music for your wedding day without mentioning that all-important first dance. According to Spotify, the most popular first dance songs of 2018 include the 2017 Ed Sheeran hit ‘Perfect’ and the classic Etta James song ‘At Last’. Whether you prefer old or new, happy or sad, let the band know in advance, so they can make sure they’ve got it prepared. One thing to mention is that, while the band will be delighted to accommodate your special requests, when it comes to what order the music is played in, this is usually best left to the band, who know how to arrange their setlists for maximum effect! As well as specialist Wedding Bands, other popular choices for weddings include Function & Party Bands, Cover Bands, Soul & Motown Bands and Barn Dance & Ceilidh Bands. HOW MUCH DOES A LIVE BAND COST TO HIRE? This will depend on the number of band members, how experienced they are and how far they have to travel to your event. A Duo or Trio will be a cheaper option at around £300 to £500 in the UK ($500 in the U.S. and €600 in Europe). For a 4 or 5-piece band you can expect to pay between £1000 and £2000 in the UK ($1000-$2000 in the U.S. and 600€-1200€ in Europe). A top quality band with high calibre musicians and the best equipment will cost anything from £2000 to £10,000 in the UK ($2000 to $10,000 in the U.S. and 2,200€ to 11,000€ in Europe). It is often assumed that booking a band to play in London will be more expensive than elsewhere in the regions however this is not necessarily true due to the number of musicians drawn to the captial that work together and form groups and ensembles. Bands will charge more at key times of year such as Christmas and New Year’s Eve. Two 60-minute sets is typical, although bands will do their best to tailor this to your requirements. If your event is lasting all day, you can speak to the band and agree on a schedule together. Extra or longer performances will cost more so keep an eye on your budget. Electronic rhythm instruments. 25 - 30 ft² per musician (e.g. guitar, bass, keyboards) including amplifiers and equipment. Acoustic instruments. 10 - 15 ft² per musician (e.g. brass, woodwinds, strings), including chairs and music stands. Specific stage requirements may be laid out in your contract. If in doubt, check with the band when you book that the venue you have in mind is suitable. One important thing to consider, especially when booking a live band, is whether or not there are noise restrictions or sound limiters at the venue. This doesn’t necessarily have to be a problem as the band may be able to use a special drum kit to keep the overall noise level down. Check this out before hand to avoid any issues on the night. While not all bands expect the luxury of a fully-fitted dressing room, they will need somewhere away from the guests to get changed, warm up and relax in between sets, ideally with enough seats for all the band members and a mirror. Bands will often make do with a small room such as a back office. Obviously, if you’ve hired a symphony orchestra they will need a bit more space! If in doubt, check with the band. Popular bands can get booked up months, or even years, in advance. Friday and Saturday nights are often busy for bands and Christmas Eve and New Year’s Eve get booked up well ahead of time. So, get your booking in nice and early! Live bands usually provide their own equipment, including instruments, microphones, amplifiers, PA system and basic stage lighting. As far as setting up goes, it takes about an hour and a half for the average band to unload their equipment, set up and sound check. They will need a safe supply of electricity and four or more power point sockets near the stage area. If staging and lighting equipment is not already in place at the venue, and you’re wondering if the band can provide it, do check this well in advance. Many Function & Party bands can provide a Disco and DJ service. This will cost extra but may work out cheaper than hiring a separate service. If the band can’t help, you can find DJs and a whole host of other Event Services, including mobile bars and photographers, here at Entertainers Worldwide! Musicians may have travelled some distance to get to your event and have a long night ahead. If you are able to feed them a proper meal and provide soft drinks, they will love you forever. Ideally, the live band or group that you hire will have Public Liability Insurance. This covers the band in the event of a claim, should any members of the public or guests be injured at your event, or any damage be caused to property. When it comes to practicalities, it’s always best to discuss these with the band in advance, to avoid any problems on the night. Whatever questions you have, however silly they might seem to you, you can bet the band has heard them before, and worse! So, ask away. Get the communication flowing, and have a great event! HOW TO BOOK LIVE BAND OR GROUP? Booking a live band is easy with Entertainers Worldwide! Using our website you can search through different types of bands, view their profiles and read their all-important reviews. Many of our listed acts also include video samples of their performances. Once you’ve found the band you want to book, simply use the contact form on their profile page. We are not an agency, so you can deal directly with your chosen group, with no extra booking fees or commission to pay. Using Entertainers Worldwide, you can search and browse hundreds of Bands, Musicians and much more! Search now to find a Live Band or Group for your event, or Request Multiple Quotes from a selection of live bands - complete this form - this is a free service.